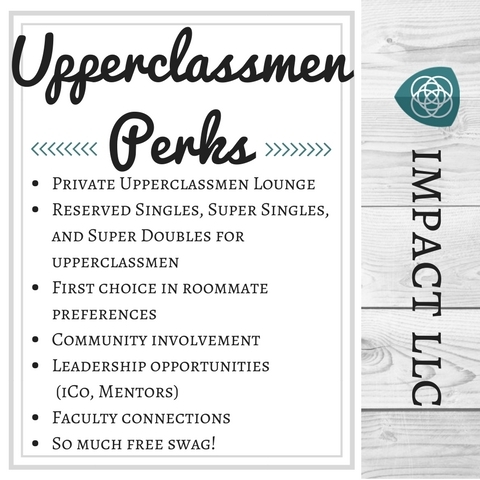 This application is for all currently enrolled Baylor University students who are interested in living in the Impact LLC during the 2018-2019 academic year. Please CLICK HERE to apply by Oct. 30, 2018. CLICK HERE to learn more about the Reapplication Process for the Impact LLC!